Tanya Lussier displayed her medication at her home in Lowell. Two-thirds of respondents report greater difficulty obtaining opioid medications and say they face skepticism from medical professionals. The Institute of Medicine estimated in 2011 that 100 million US adults suffer from pain that never ends, often the result of injury, disease, or dysfunction of the nervous system. Opioids are not their only option. Many get relief from other drugs, such as anticonvulsants and antidepressants; devices, such as spinal stimulators; and regimens, such as physical therapy and meditation. Rarely can they stop the pain, but instead patients assemble a mosaic of remedies to carry on with life. And for some, opioids are a critical piece. 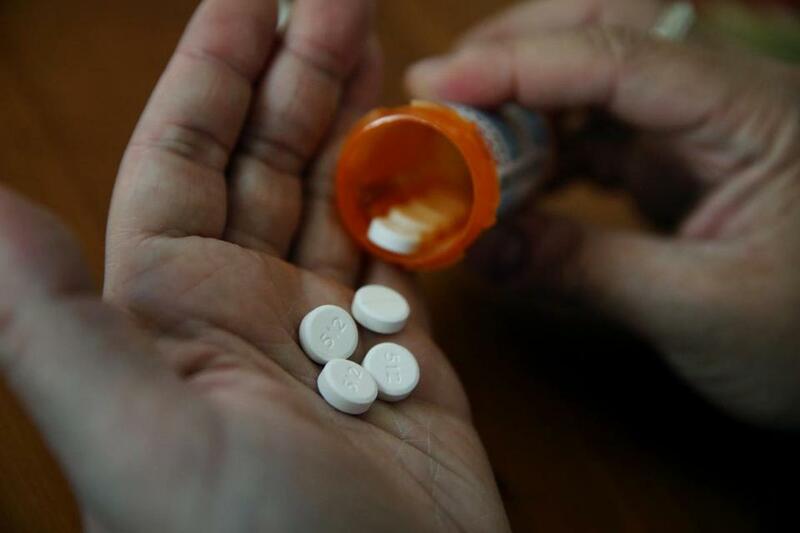 Today in Massachusetts, many people are losing access to those crucial drugs, said Claire Sampson, cochairwoman of the Massachusetts Pain Initiative, an advocacy group. 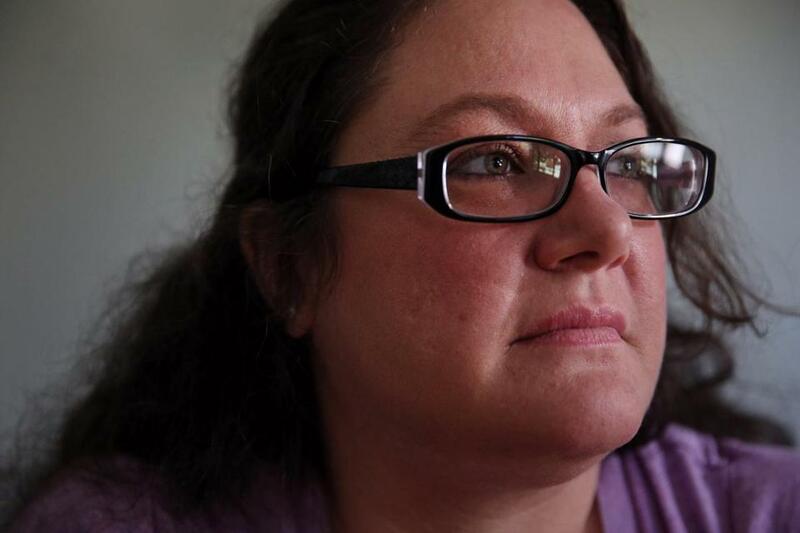 Sampson, a nurse, sees the evidence at the Western Massachusetts pain clinic where she works, which she said is facing an influx of desperate pain patients. In many cases, doctors are misinterpreting or overreacting to new federal and state guidelines intended to rein in opioid prescribing, Sampson said. One patient came to her with a note from her doctor saying that “due to state law” he had to reduce her dosage. State law contains no such requirement. Some physicians consider the new rules reasonable and appropriate, in light of the crisis of opioid deaths. But critics say regulations often fail to account for individual differences. “Opioids absolutely harm some patients. But they absolutely help some patients,” said Dr. Daniel P. Alford, a Boston University School of Medicine addiction specialist who directs the school’s Safe and Competent Opioid Prescribing Education program. Patients vary widely in their response to the drugs, and only about 1 in 10 is at risk of addiction, said Dr. Daniel B. Carr, a pain specialist at Tufts University School of Medicine who is president of the American Academy of Pain Medicine. Meanwhile, Carr said, global studies show that many more people suffer from chronic pain than from addiction. Carr and Alford say that certain patients, who function well on a steady dose and comply with monitoring, can safely use opioids for years. But lately, many can no longer get the medication, or enough of it. Tanya Lussier of Lowell is staring down her last bottle of Percocet, cutting pills in half to make them last. Taking the Percocet, she said, was the only thing that enabled her to function and to sleep, as she copes with burning and throbbing in her arm from a spinal problem, and chronic shingles pain that stabs at her head. Lussier, a 43-year-old mother of two who worked as a nurse before becoming disabled, said the pills don’t eliminate the pain, just lower its intensity for three to five hours. But Lussier said her doctor was concerned that opioids would actually increase her sensitivity to pain, and informed her three months ago that she would get only three more monthly prescriptions for the drug. The doctor declined to be interviewed. Lussier said she has tried everything else — procedures, injections, other medications — but none worked. “I’m running out of options,” she said. An intriguing — although as-yet unpublished — research study documents the effects of limiting access to opioids. Angela Kilby, a PhD candidate at the Massachusetts Institute of Technology, analyzed a database of medical claims for 7 million individuals to find out what happens when opioid prescribing decreases. First, she found good news: Overdose deaths declined. But she also found downsides: People in chronic pain had higher medical costs and worked fewer days, suggesting a decline in health. Robert N. Jamison, chief psychologist at the Pain Management Center at Brigham and Women’s Hospital, said the fervor to cut back on opioids is sending new patients to his clinic. “We see people that have been on opioids for 25 years, and all of a sudden their providers don’t want to write any more,” he said. Joathan Rodis (left) made a rest stop during a walk in Winthrop with his longtime friend, Lloyd Caplan. Rodis has Marfan syndrome, a genetic disorder. Carol Stevenson got a letter from her doctor recently, saying he would abide by guidelines from the Centers for Disease Control and Prevention setting a recommended maximum dose for opioids. To treat intractable pain after multiple back surgeries, Stevenson, a 74-year-old Harwich resident, said she was taking 180 milligrams of oxycodone and 40 milligrams of Dilaudid each day, well above the recommended maximum. But she had stayed at that level for four or five years, and she said it worked for her. But some physicians doubt the value of long-term opioids, especially at higher amounts that raise the risk of overdose. “There really is no great evidence that chronic opioids for chronic pain are truly beneficial,” said Dr. Julia H. Lindenberg, a primary care doctor at Beth Israel Deaconess Medical Center in Boston. Lindenberg called the CDC guidelines and other new regulations reasonable and necessary. Some pain patients bristle at requirements to sign contracts, have their pills counted, and give urine samples — measures intended to make sure they’re taking their drugs as prescribed. But when Lindenberg’s practice stepped up urine testing, the doctors found that a few longstanding patients, who had been considered at low risk for abuse, in fact were misusing drugs. Some had cocaine or other drugs in their urine, and some were not taking the prescribed opioids, suggesting they were selling the pills. Even so, Lindenberg said, “There is a small subset of patients in my practice who are benefiting from a chronic, stable dose of opioids.” These patients aren’t showing “red flags” for abuse; they also try other treatments to manage their pain. Still, she periodically tries to taper down the dosage she prescribes. Tanya Lussier posed for a portrait at her home in Lowell. “I don’t know that we totally understand exactly how to approach patients with chronic pain and what the right approach is,” Lindenberg acknowledged. “It differs for every patient.” And treatment decisions are complicated: Many patients suffer from both addiction and chronic pain; many also have depression and anxiety. But Dr. Robert S. Baratz, a primary care doctor in Braintree, is galled by the new oversight. Baratz said he, like most other primary care doctors, has long experience managing patients who take opioids for chronic pain. These people, he said, have no part in the addiction crisis. He monitors them closely and stops prescribing at the first hint of abuse. Jamison, the Brigham pain specialist, said he fears that some patients, suddenly unable to get drugs they have relied on, will turn to heroin or other street drugs to treat their pain. RELATED: How did the opioid epidemic get so bad?